Oh hi! It’s been a while since I penned any words here. Life’s gotten in the way and I have been contemplating much internally and my thoughts are not formed in a way I have felt ok with sharing. My boys are bigger. Their stories are so much more personal and I am protective of where they each are. Last night though, I took them out for a pub meal. And by pub meal I mean a bowl of hot chips and a juice. Both quite the treat. They’d been ratty. Mr 3 spoke so loudly the entire time I physically winced several times. Oh hey, guy in the back sitting quietly with your beer, I hope you don’t mind hearing the inner ruminations of my three year old! One of the things that kids have an uncanny knack of doing though is inadvertently showing you lessons for yourself. Things that only your adult gaze can “get”. I had cause to teach them about double dipping. Cos you know, it is gross and who needs them to be sharing their germs? 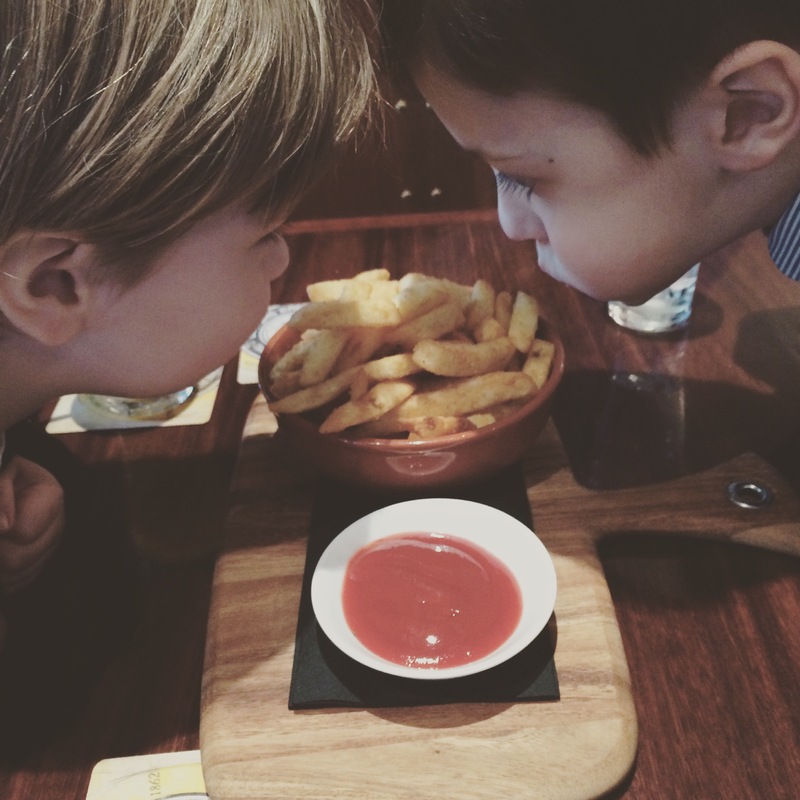 Mr 3 was taking a chip, dipping it in the sauce (as an aside I feel aioli is the only true dipping sauce for a chip! ), biting, then dipping again and biting. Gross. After a chat about it Mr 3 was all, “Ok mum, I get it! It’s pretty disgusting really.” Score. Parental lesson got through. Successful parenting tick. The boys ate and drank, argued over a minor thing that I can’t remember now, as siblings are want to do. Mr 3 then giggled. “What’s so funny?” His brother asked. “Well, my hand wanted to put the chip in the sauce again but my brain said, “No! That’s bad news bear. Don’t do that!” He looked at me, grinning, “I did good telling my hand what to do didn’t I?” Praise, heaped. “These things happen buddy.” I smiled. He’s pretty hard to get mad with. It’s the face he has. And that, I think is a pretty good life lesson. Try. Learn. Make mistakes. Don’t take yourself too seriously. Laugh. Accept your mistakes. Try harder. And also, eat the hot chips with joy. This entry was posted in Uncategorized on June 12, 2015 by catbeloverly.